The HVS Image 2013, the replacement for the HVS Image 2100 and 2020 Morris Water Maze system is now out. The HVS Image 2013 (Protium) and HVS Image 2012 share much of the UI (user interface) but the HVS Image 2012 allows users to use their older 2100 Plus+ card systems and will be offered as either a low cost or even free upgrade to 2100 users. The HVS Image 2013 is now software only greatly reducing the price to less than Stoelting low price ANY-maze while having even more features and greater ease of use than the classic HVS Image 2100/2020 series. 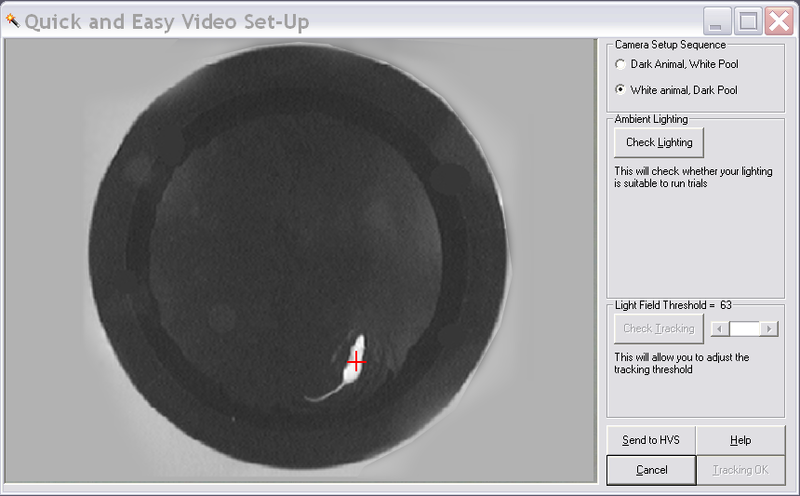 The software is fully backwards compatible with HVS Image's 2100 and 2020 and we now have full confirmation that it works with web cams such as Microsoft's LifeCam series even on very modest hardware platforms. 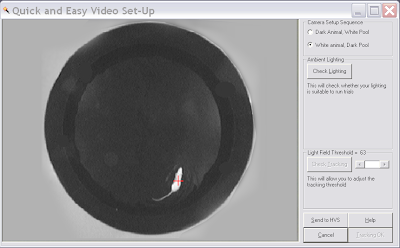 Quick and easy set up on the HVS Image 2013 includes instant lighting check that means that you can be up and recording in minutes rather than days. is this availiable as a trial version(free)for a period of 1 month. The place to ask is on their site at HVS Image but I believe that there answer is that they are quite generous with assessment licenses and even give out free yearly ones to bonafide users.